I received my January Birchbox. This month the theme was Go Time. 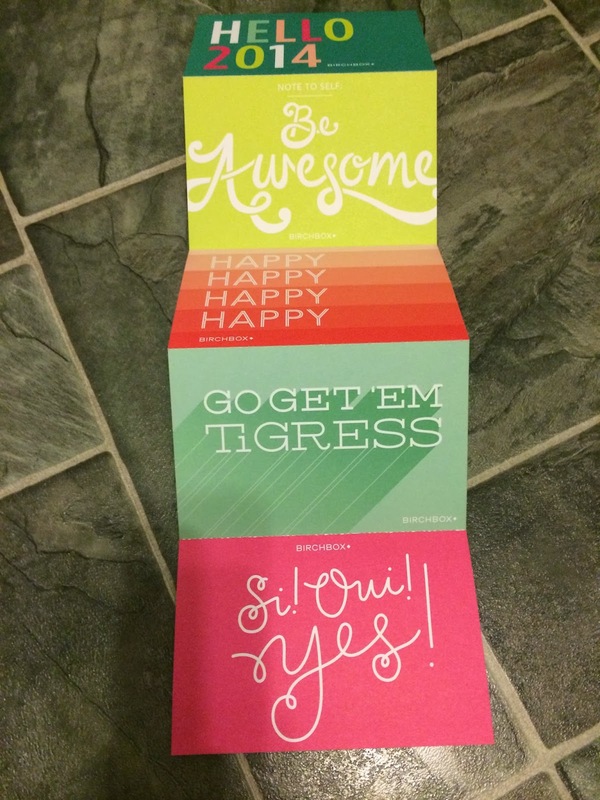 It included some inspiration cards to keep you motivated in 2014. I really want to do something fun with these cards because they are great! I looked at what I would be getting in this month’s box before it arrived, so it wasn’t a surprise. But I always love seeing the items in person to see the sizes of the samples. I wasn’t too excited about this month’s box, but there was one item I was very excited to try! 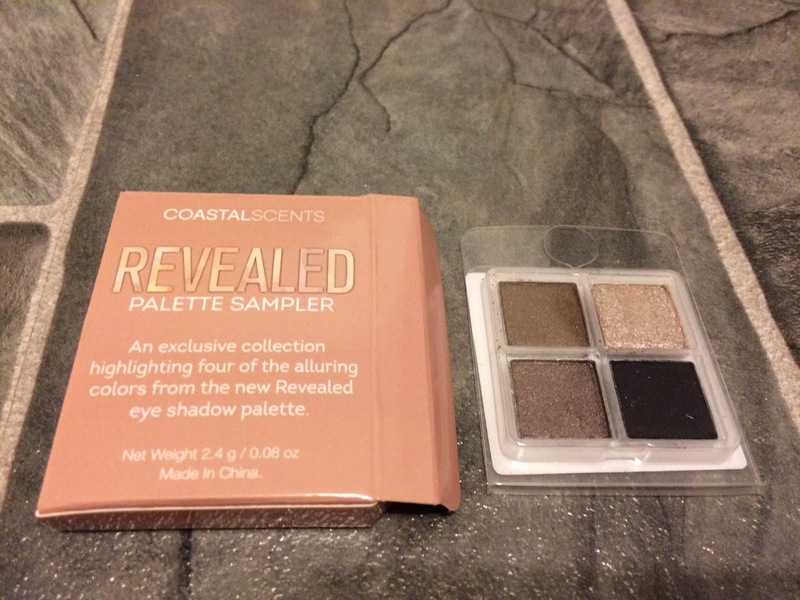 The first item I received was Coastal Scents Revealed Eye Shadow Palette. I liked the neutral and metallic colors included in this set. And usually I can’t wear a lot of brands of eye shadows because they bother my eyes by the end of the day (my eyes get all red and itchy). This was fine for all day wear, so I’ll keep using the samples to create different looks! 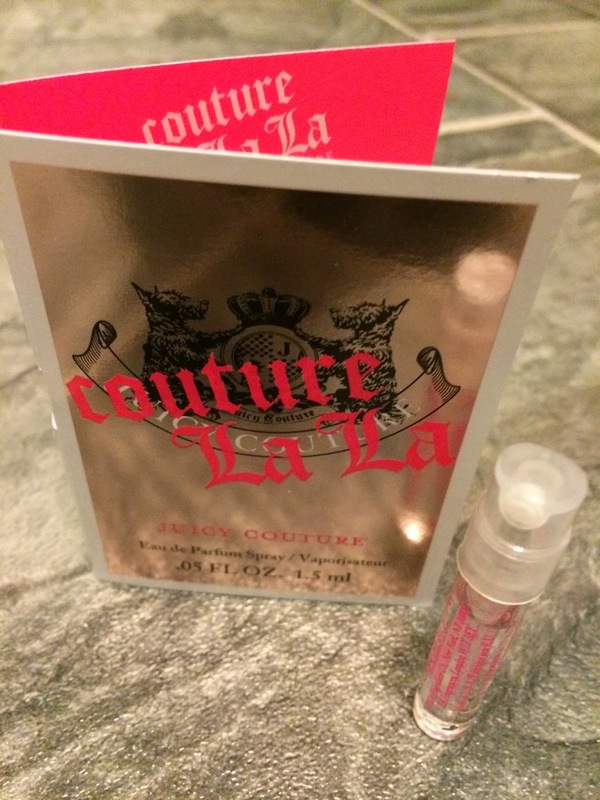 The next item was Juicy Couture Couture La La Perfume. I hate perfume samples and do not wear perfume, so I didn’t even try this. 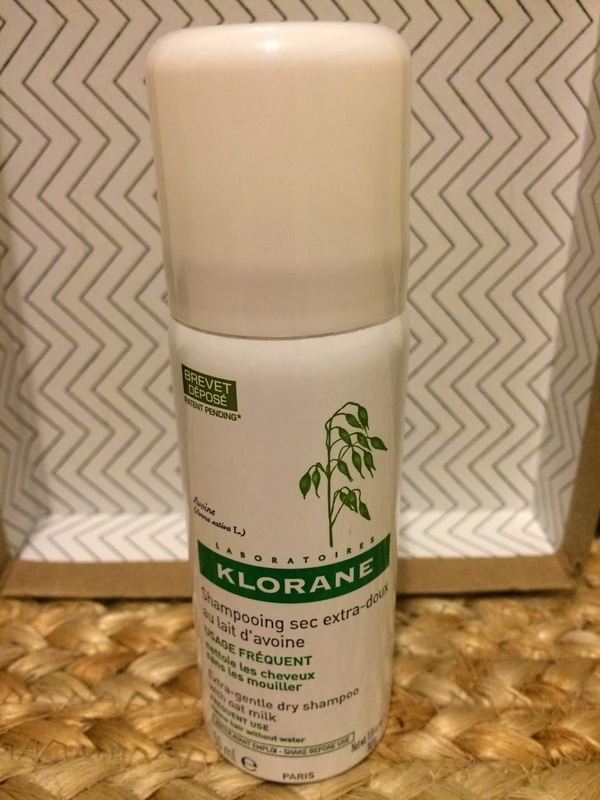 I received Klorane Gentle Dry Shampoo with Oat Milk. This seemed to work well, but I couldn’t get over the scent. It was too strong and perfumey and definitely not for me. Luckily the scent didn't seem to last, so I might try this a few more times to see how I like it. My hair looked clean and styled well after using it. 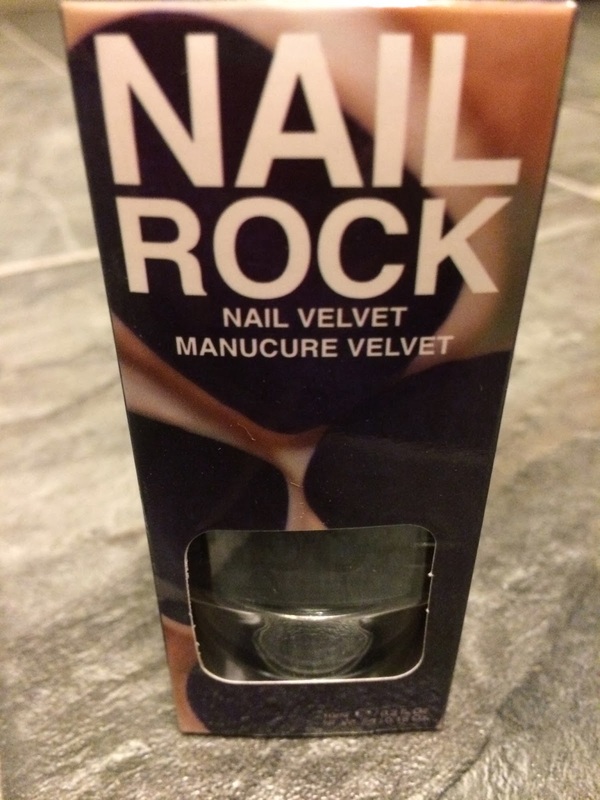 The Nail Rock Navy Velvet was the item I was most excited to try. I was hoping to get this in my box! I thought doing a full on velvet manicure might be too much, so I did a few nails to try it out. I did 2 coats of nail polish as suggested, but think 3 would have been better. The velvet did not cover evenly with 2 coats, but that could have been my messy application also. It definitely gave my nails a velvet effect (kind of reminded me of a teddy bear), not sure I love it, but it’s different and I’ll definitely try it out for a few days. Not sure what the staying power will be. The final item was a Birchbox Find. It was Burt’s Bees Intense Hydration Day Lotion with Clary Sage. This was very moisturizing and thick. 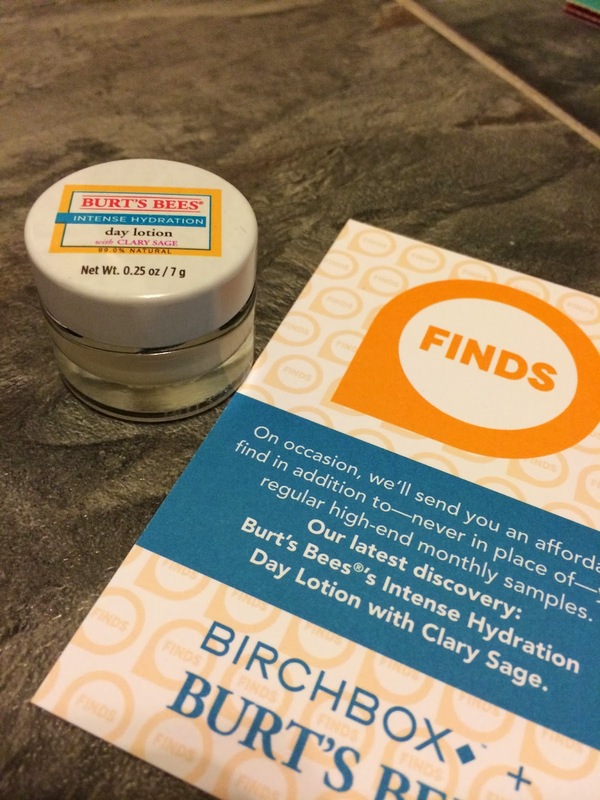 I love Burt’s Bees products because they are natural and I really enjoyed the scent of this lotion. This was a nice addition to this month’s box. I love getting Birchbox each month to try new products, without having to buy the full size products. I’ve found so many products that are now staples in my daily routine. 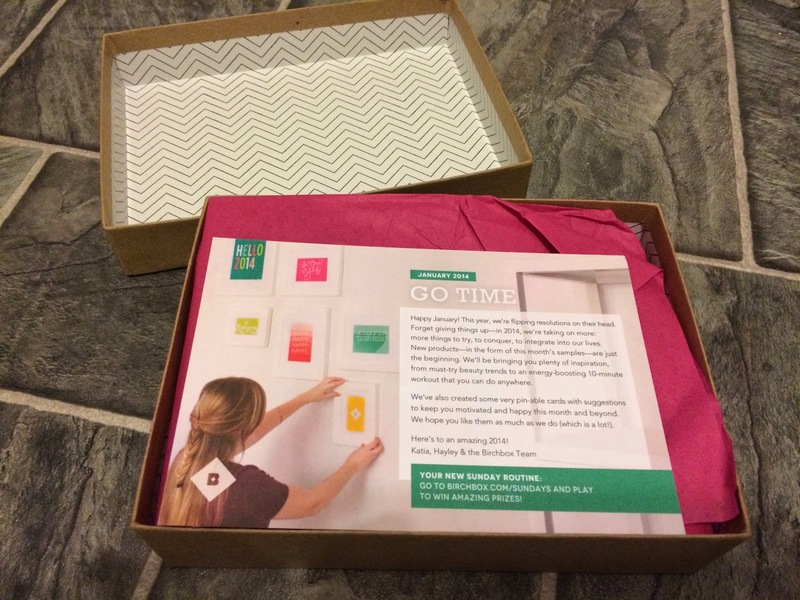 I can’t wait to see what I get in my February Birchbox! 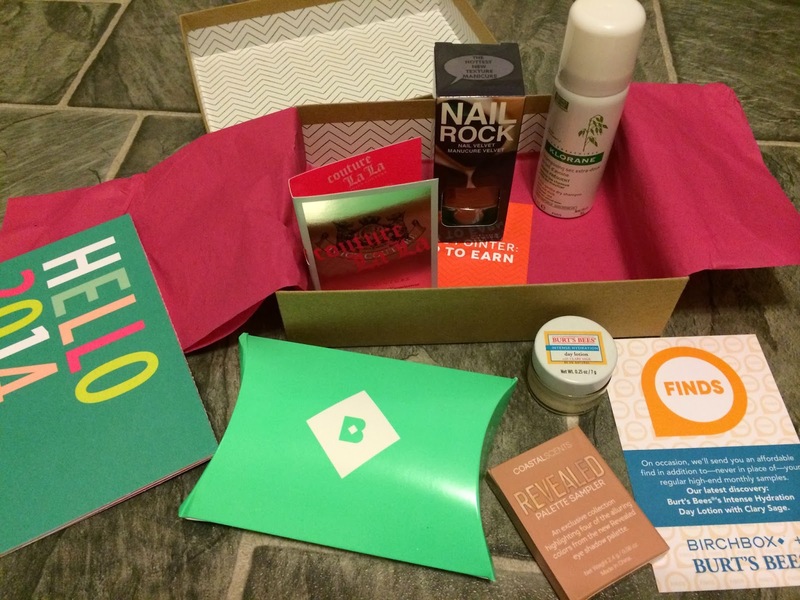 What was your favorite item in your January Birchbox? *If you use my links in this post, I'll get a small referral credit. Thank you!